The providers is working hard to bring in new subscribers, as well as appeal to its loyal fans. But is it too little, too late? TiVo might have kicked off the DVR revolution, but it's definitely not the only game in town now. With recent layoffs and reports that Rovi is set to acquire TiVo in a proposed $1.1 billion merger deal, the DVR company seems to be in trouble. Even amidst the turmoil, TiVo has a few new models planned for release this year. But with so many ups and downs, is TiVo even worth your money anymore? TiVo is a "Shadow of Its Former Self"
In September, TiVo announced it had lost 3,000 subscribers, and TiVo-owned subscriptions are down to around 941,000 now. In recent years, the company has apparently lost a "couple hundred thousand" TiVo-owned subscribers, according to CFO Naveen Chopra. Economically, TiVo isn't always appealing. It has typically required customers to spend hundreds of dollars on its devices, plus a monthly service charge on top of that. Alternatively, the company has charged a one-time fee for lifetime service that was often equal to, or even more than, the cost of the device itself. Cable and satellite providers tend to "lease" their own boxes to customers, in addition to charging a lower monthly rate, which makes them more appealing to some consumers. Last fall, in an effort to tempt new subscribers to try the service, TiVo released the Bolt. CMO Ira Bahr noted this was an effort to take a different approach, in order to "breathe new life into this brand." The outer box ditched the traditional design, and instead took on a strange, pointed shape. The new design, coupled with lackluster specs like fewer tuners (four, compared to the six of other models), and less storage capacity, were definitely not meant to appeal to longtime customers of the company. While it's true that the Bolt added 4K capabilities, a faster interface, and new SkipMode and QuickMode features, this device is not what loyal TiVo fans have been waiting for. Bahr asserted that this wasn't a misstep. Instead, it's all just part of a larger plan — he wants the Bolt to be an affordable way to bring in new users. For longtime customers, Bahr said there's more planned for this year. A Pro model is due to make an appearance, probably without the Bolt's angled design. It will supposedly have at least six tuners, and a few terabytes of storage. TiVo is also reportedly working on a 4K-capable Mini, as well as continuing to improve the software overall. The first new model of the year is here ... but so far, TiVo isn't holding up to its promises. When the original Roamio OTA was released, it kind of missed the mark. Its 500GB hard drive was restrictive, and it came with a $15 monthly subscription fee that wouldn't appeal to cost-conscious customers. TiVo's new Roamio 1TB OTA changes up the company's typical pricing strategy: It has an upfront cost of $400, and that's it. There are no monthly fees to worry about. The good news is that the Roamio 1TB OTA is supposed to resolve those problems. It includes a 1TB hard drive, and also changes up the TiVo's pricing strategy. The new model has an upfront cost of $400, and that's it. There are no monthly fees to worry about. Even so, it still doesn't deliver what was promised back in October. Instead of several terabytes, there's only one. And instead of at least six tuners, this model sticks with four. As disappointing as that might be, TiVo still has plenty of time left in the year to release a model that fits the expectations of customers. Still, for the less cost-conscious cord cutters, this could be a good deal. It's available now through Amazon, Best Buy, and TiVo itself. Regardless of what changes TiVo is making to its models, it might not even matter once a new law goes into effect this year. Until recently, Apple TV and TiVo users were guaranteed to be able to connect their boxes to cable television, because cable companies were required to use a common standard so set top box devices could integrate with their cable TV signals. However, that common standard, and the requirement to use it, are both gone. It would be extremely lucrative for cable companies to force consumers to rent boxes from them, rather than allowing people to buy their own. If that happens, there's not much room for the likes of Apple and TiVo. The standard was part of the Satellite Television Extension and Localism Act Reauthorization (STELAR), and it expired on December 31, 2015. As of this writing, no new standard has been agreed on. If one isn't decided soon by the FCC, Apple or TiVo could be forced to try to make individual deals with different cable providers just so they can ensure their devices made after 2015 will have the necessary support. But cable companies don't have much of an incentive to offer that support. It can be extremely lucrative for cable companies to force consumers to rent the boxes from them, rather than being able to buy their own. If that becomes the case, there's not much room for the likes of Apple and TiVo. Right now, the future of TiVo seems uncertain. While the company could still release some truly impressive models this year, there are variables that give some customers pause before investing. With Revolv recently shuttering its doors, shoppers are smart to be hesitant about jumping into any agreement with a lifetime service. Ultimately, now might not be the best time to buy in, even if you can snag a complete package for $400. Readers, are you still excited for new TiVo tech, or have you moved on to a different service? Let us know in the comments below! I have 4 series one boxes with lifetime subscriptions. The bigest problem is the electric bill. "However, that common standard, and the requirement to use it, are both gone. " The integration ban is what expired. Previously, even the cableco-branded boxes had to use a CableCard internally - that's not the case now. The best buy tight now is the new 1GB Roamio OTA lifetime for $400. Adding a $30 CableCard bracket (snaps in, no soldering required) allows it to support digital cable as well as OTA. I don't like the streaming part. It doesn't do any caching of the shows. So even FF or RW, you have to wait. I rather stick with my Roku TV (Powered with the Stick 2016 internally) or Roku 3. I am a Tivo user and love the products. Fortunately I have owned my units (3) long enough to have them more than paid for themselves. Although most people in the know dislike Rovi, they have taken steps to make Tivo the focus of the merger by taking the Tivo name. They no-longer have to pay for a guide, they own one although demonstrably not better, maybe they will improve it. Their guide is used in many other company DVRs so they now have an "in" to possible market Tivo to them ( now that the rules have changed in their favor). Tito has added many new streaming features in the last year to make it the "1 Box" solution I have been praying for. Amazon, Hulu, Netflix,HBO Go,YouTube,MLB.TV,VUDU, AOL,WWE,Yahoo and PLEX (my favorite). Their unified search is brilliant as it incorporates streaming as well as network. Commercial skip s a delight on the new machines (although I don't have it, I wish I did). So much more I could talk about, their mini's and more. Yes, I am a fan boy. Tara! Very good summary of the current state of TiVo and their possible shift of focus. But for me, a non cable user, my TiVo Roamio basic with lifetime service provides amazing functionality. Including commercial skip, out-of-home streaming to mobile devices, and easy program recording. Plus Amazon Prime, Plex, Netflix and Hulu Plus. I'm going to enjoy it while it lasts. I wish cko916's comments had been posted before I wasted my time researching Apple TV info. My 3rd-gen Apple TV doesn't have any cable connections, but as far as I can tell, neither does the new 4th-gen model. So nothing in this article has anything to do with Apple TV, and if it did, it would apply to Roku, Google Chromecast, Amazon FireTV, etc. also. TiVo revolutionized personal video recording technology by giving people an easy-to-use interface and recording storage in a set-top box. It was so easy that grandpa and grandma could use it and never have to touch their VCR again. It gave people the power of time-shifting. There were no tapes to swap out, no fast-forwarding and rewinding to find an empty spot to record on, and you could watch all of your recordings at the click of a button. Today, it's all about control of content, what people want to watch, and when they wish to watch it. Streaming allows people to binge-watch their shows without having to worry about setting up their DVR to record every episode and having to remove episodes when they're done to conserve space. TiVo is becoming a dinosaur like it's predecessor, the VCR. Author clearly has no experience or context in this market and didn't take the time to understand it before she wrote it. Why mash all this Fear, Uncertainty and Doubt together without any balancing information on what value Tivo does offer? She takes that usnews article at face value when it is also severely misinformed clickbait. The Apple TV, PS3 and Roku have never used CableCard so why are they included in that article? She should have known enough to realize that article was garbage if she was going to cite it. CableCard isn't going away overnight and it's not relevant to the Over-The-Air models that they just introduced. There are too many problems in this article to go into, but this is an extremely terrible article that is not worthy of dealnews. I was so excited to finally come back to TiVo after nearly a decade in the wilderness with U-Verse (which honestly is a decent setup box, but still doesn't compare). I'm still a little perplexed when people complain that TiVo's are somehow stagnant or behind the curve technology wise. The fact I can now run most of my streaming services off the same box as my cable makes life much simpler. Maybe competitors have caught up, but every Comcast or Dish device I've had to use was pretty painful. We have a TiVo HD (grandfathered $6.95/month subscription) recording OTA (not great reception here, but passable), and a TiVo HDXL (grandfathered Lifetime subscription) w/external 1TB drive recording Comcast HD. TiVo is just easy to use. Its interface is intuitive to me. Their guide/channel lineup is sometimes wrong, but I can live with that. I use TiVo Transfer to copy programs to my Mac (thanks, emmayche... I'll try to using cTiVo and see what I can do with my Apple TV). I am a Tivo user and love the products. Fortunately I have owned my units (3) long enough to have them more than paid for themselves. Although most people in the know dislike Rovi, they have taken steps to make Tivo the focus of the merger by taking the Tivo name. They no-longer have to pay for a guide, they own one although demonstrably not better, maybe they will improve it. Their guide is used in many other company DVRs so they now have an "in" to possible market Tivo to them ( now that the rules have changed in their favor). Tito has added many new streaming features in the last year to make it the "1 Box" solution I have been praying for. Amazon, Hulu, Netflix,HBO Go,YouTube,MLB.TV,VUDU, AOL,WWE,Yahoo and PLEX (my favorite). Their unified search is brilliant as it incorporates streaming as well as network. Commercial skip s a delight on the new machines (although I don't have it, I wish I did). So much more I could talk about, their mini's and more. Yes, I am a fan boy. I still have a two-tuner HD TiVo which works fine, and the lifetime service which, through fortuitous circumstance, I was able to transfer from my long-dead TiVo Series I box. I also have upgraded the hard drive, AND run a program on my Mac server called cTiVo which lets me automatically transfer any (non-copy-protected) show that I desire from my TiVo to my Mac, which I can then view as I please through my AppleTV. It would occasionally be nice to have more tuners, but I'm doing fine. Mat123 Rovi also makes DVR OS for UVERSE and I am sure other providers. So I hope they dump their OS and use Tivo's OS made by Tivo's engineers. I am happy with 4 tuners. Once in a while 3 are in use, sometimes 2 and mostly 1. Maybe depends how many people are in the house and for the OTA model, how many good shows are there that someone would need over 4? I am at 44% capacity with my 500gb so I can see the TB. Price point is not all that bad for a OTA unit compared to others being $400. I got mine during the last years model sale for $50 and because of the sale they allowed the lifetime plan at half off of $250, so $300 was good. But I was worried about the box breaking and taking that $250 subscription for me after 90 days so I paid $30 for a three year warranty. So for $330, I got a Tivo Roamio, lifetime subscription and a warranty to cover it for 3 years. My credit card adds another year. So if it lasts me 4 years, I am doing good. I hope I can get even more time out of it. It's a pity because Tivo is still the best DVR out there. Comcast's X1 is very slow and sluggish because it stores all the video on the cloud insted of in a local hard drive. Verizon's DVR has always been a disaster with extremely limited capacity. I'm a loyal longtime Tivo owner, but Tivo made a huge mistake with premium pricing that froze it out of the millennial market. They needed to sell their box for around $100 and charge no more than $49 a year for listings and they might have built a customer base of 20 or 30 million instead of under a million. They've had that cash stream from the DirecTV settlement -- they should have used that to subsidize the product and grow market share. 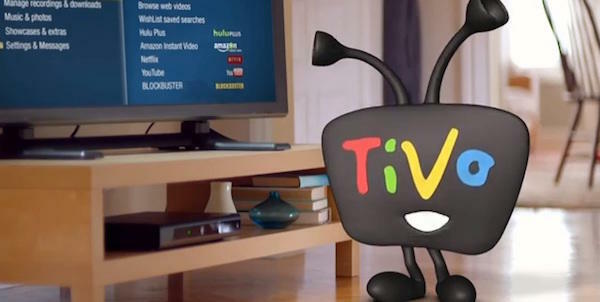 Anyway, the article is correct, the merger with Rovio is probably the endgame for Tivo. A better merger would have been with Roku. I would love to see what Roku engineers could do with a DVR. What TiVo really needs to do is start their own streaming service, such as SlingTV or Playstation Vue, but they may have missed their window. If they could have integrated their superior DVR software & OnePass into a cloud based streaming TV service, it could have been a winner. Merging with Rovi is a step backwards for Tivo. They really would have been better off merging with Sling, Playstation (Sony), Amazon, Google, or Apple. Im a huge TiVo advocate, but I don't know how merging with a TV guide provider helps TiVo in the long term. All I know is I will continue to use TiVo until it no longer functions. First, TiVo is the best. I recently switched to TiVo from my FIOS DVR and it is by far, hands down superior in every respect. I got a great deal on my TiVo. $50 for a refurbished Roamio Basic (Cable + OTA capable) plus $250 for lifetime service. I think $200 to $300 including lifetime is the sweetspot TiVo wants to try to hit. However, the TV landscape is changing. Two major issues could hurt TiVo. First is the pending ATSC 3.0 rollout, which will render every OTA turner in every device, including TiVo obsolete. This is like the analog to digital transition: part two, but this time the legacy transmissions will be turned off on the same day ATSC 3.0 is turned on. The second is streaming and IPTV. Both of these are not DVR friendly, at least not traditional DVRs. For streaming TV, you are looking at a cloud DVR, such as Playstation Vue provides. For IPTV, you are looking at a whole new transmission technology that may be "closed" to TiVo. As a cord cutter myself (I cut the cord back in 2005, created my own HTPC back then), I say the fall of Tivo is ironic as their product is truly unmatched. It's still a gap, BTW, to have a reliable DVR service; simple.tv, antenna, and others tried but never truly captured this gap. I think what it boils down to is Price, price price. $15 a month is a hard pill to swallow, and lifetime fee is outrageous. 1. Learn from Netflix and franchised/ licensed their service to cable providers and other manufacturers; image if your new Samsung Smart TV had Tivo as one of the apps? I'd like to get something for OTA/Antenna VCR-type usage. But $400 is too much for me. $175-200 and I'd be INTERESTED... still no guarantee.